Wholesale support services and solutions for the air cargo industry, courier companies and airlines. We provide the expertise behind the scenes that allows you to offer your customers a professional end-to-end service. From pick-up and delivery services to document preparation and submission, from an on-board courier to re-packing and un-packing the goods, we're there in the background, helping you every step of the way. 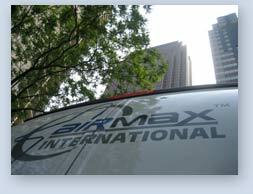 AIRMAX is US Department of Transportation Security Administration (TSA) approved Indirect Air Carrier (IAC). Whether its regular shipments or once only shipments, every shipment is important to us and we are more then willing to ensure your experience will be one that will exceed your expectations. We are here 24 hours a day, 365 days of the year to provide you or your company with total logistics support.